The Medal of Honor is the United States of America's highest military honor, awarded for personal acts of valor above and beyond the call of duty. It was created in 1861 during the American Civil War to give recognition to men and women who distinguished themselves "conspicuously by gallantry and intrepidity" in combat with an enemy of the United States. During the past 153 years, there have been 3,490 Medals of Honor awarded to men and women of all branches of our nation's military, with 27 of those from Georgia. 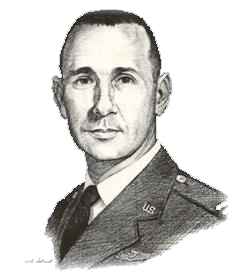 One of those Georgia natives is Air Force Captain Hilliard A. Wilbanks of Habersham County. It is in his honor that the Hilliard A. Wilbanks Foundation was established in 2011 to support those who have chosen to serve in our military through a path of higher education. There is no training school or preparation for the type of heroism displayed by any Medal of Honor recipient. They are individuals who rise to a level of bravery that others cannot, and face into danger rather than away. For most they perform their acts of heroism unselfishly, without consideration for their own safety, and most often in the process of saving the lives of others. These heroes are always known in their hometowns. Often their leadership and bravery can only be recognized posthumously, but it is always there. In the tradition of our Country they are truly "Citizen-Soldiers" who rise above us all, and inspire us to repay their sacrifice by carrying on the traditions of our Nation. Once we understand their stories, they help remind us of our responsibility to our Nation and our fellow citizens, and the goodness that lies within us individually and collectively. We must also remember that while they are national heroes to us, they are also husbands, fathers, sons, and brothers. Their sacrifice and patriotism rises to a level that extends far beyond their hometown and touches us all. We are who we are as a Nation because of this rare group of heroes. We hope you will enjoy reading about and learning about Hilliard A. Wilbanks, from his formative years to his bravery during the Vietnam War. He was and is in every way a "hometown hero" and an extraordinary patriot. We hope you will join in our mission in supporting scholarships in Captain Wilbanks' honor. The Medal of Honor is usually presented by the President in a formal ceremony at the White House, intended to represent the gratitude of the American people, with posthumous presentations made to the primary next of kin. In 1990, Congress designated March 25 annually as "National Medal of Honor Day". Due to its prestige and status, the Medal of Honor is afforded special protection under U.S. law against any unauthorized adornment, sale, or manufacture, which includes any associated ribbon or badge.